Dusseldorf I knew just by reading the papers and some quick looks at the internet news that people and their organizations were facing severe political challenges in Hungary at the hands of a rightwing populist government, but two days of meetings with organizers and activists in Budapest left me excited about the huge opportunity our friends also have at the moment. Mate Varga comes from a long tradition of community development in Hungary. We could almost say it is in his genes since his parents began the Civil College Foundation and he now leads the program. In recent years, he has concluded with his colleagues that they needed to embrace and support building community organizing in their country. 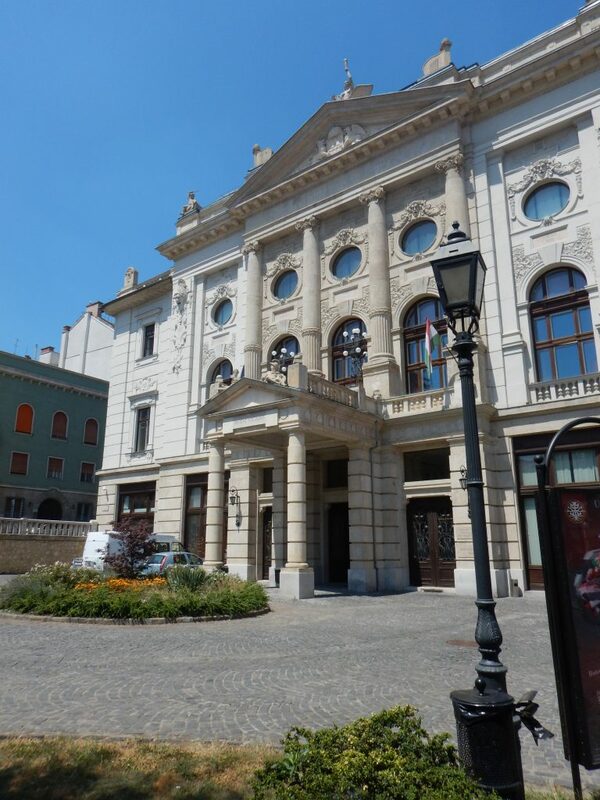 Exchange programs and joint trainings with organizations in the United States, most importantly perhaps Virginia Organizing and Joe Szakos, its director, where one of his staff, Bernadett Sebaly spent a full-year, have given them rich experiences not only in Hungary but in Romania, Bulgaria, and Slovakia as well. Now under his leadership, they have assembled sufficient resources to support twenty-seven staff members, potentially organizers, with local and other partners all around the country. 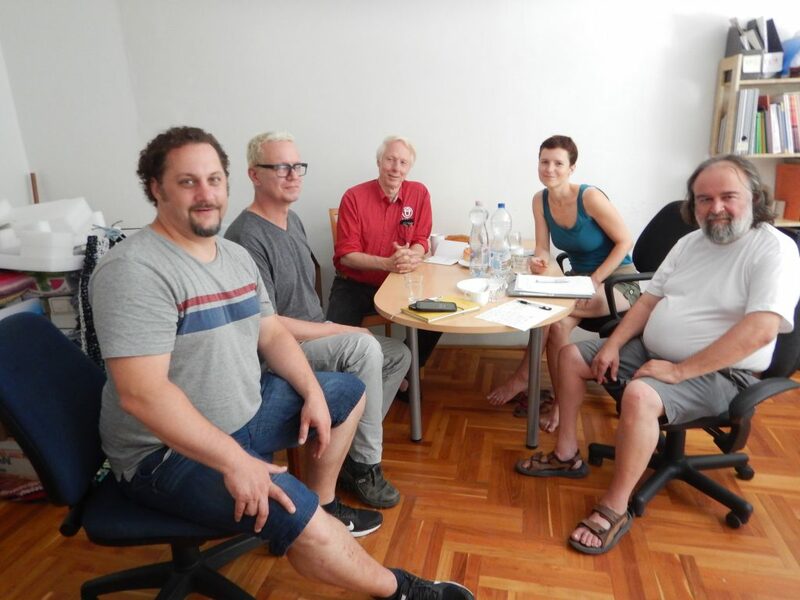 The first day I was in Budapest, Mate and Betti, introduced me to the some of the community organizers at the Hungarian Anti-Poverty Network. We spent most of the time talking about the Hungarian workfare program currently employing, if we could call it that, 220,000 people in low level, in largely manual and menial public employment projects around the country. This is not workfare as a requirement to get welfare, but workfare is the welfare program of the state. The workfare workers are paid about $200 in USD monthly and once accepted can work up to a year and then reapply if still not able to find a job. It was unclear if it is an entitlement or there is a cap, but it seemed like an entitlement. The Network has won victories in this organizing including the payment in cash because drafts to bank accounts were forcing the workers into costly financial products. Monika Balint and I shared a number of experiences on how to handle “check” pickup days, direct actions, and benefit campaigns. The government is very proud of this program so they have widely publicized how many people are working where, so a lot of mass contact work and mobilization is elbow grease and shoe leather working the cash collection sites and job centers to meet the workers and talk to them about issues. Exciting opportunities for an organizational movement for change seemed everywhere in this workfare mess. It brought me back! Speaking of movements, I also met a delightful teacher who was one of the leaders of the teachers’ movements that had put 50,000 people – a huge percentage of that workforce almost 30% – on the street in protest to government action changing curriculum, job security and about everything else in the schools. They were widely supported by parents and students. The government wisely agreed to negotiate with teachers, but they were muscled off the table by brokering groups including the unions, collected a lot of promises, and very little action. They now face the need to call for more this fall, while also trying to pull their key activists together in fifty different areas of the country where they could built local circles or chapters. Wow! As exciting, and fraught, as both of those opportunities were, the Civil College itself was the focus of much of my time, meeting with their core team of organizers and Mate, to evaluate the best way forward in a once-in-a-lifetime opportunity they face to have the resources and potential staffing in place to assemble the pieces of a national community organization in Hungary. There was a lot of discussion of the ACORN model, because one of key pieces missing for the College team is a replicable model with the promise of sustainability since most of their external capacity is embedded in the 27 different organizations. I argued with some assistance from Chuck Hirt of the European Community Organizing Network, who had driven over from Slovakia for the meeting, that they needed to calf off a team of three to five organizers and try some pilot programs to prove what would work and share it with the others, as well as beginning now to have the conversations with groups and leaders about potential mutual campaigns and how to structure a national organization. Heady stuff, but there is huge opportunity in Hungary, and the demand for change at the grassroots level of low-and-moderate income people with 40% of the population living in poverty is immense. This entry was posted in ACORN International, Citizen Wealth, Financial Justice, International, Organizing and tagged Bernadett Sebaly, Budapest, Civil College Foundation, Hungarian Anti-Poverty Network, Hungary, Joe Szakos, Mate Varga by Wade. Bookmark the permalink.